The Family Education Rights and Privacy Act (FERPA) of 1974 as amended details the access of student records held and maintained by educational institutions. The law further requires that parents or eligible students be notified of the types of records held and officials responsible for such records. These records are commonly called "Education Records" and include records directly related (meaning personally identifiable) to a student and maintained by the University or by a party acting for the University and include items such as admissions records of students but only once they attend Xavier, registration files, exams, papers, advising notes, financial aid materials (excluding financial information submitted by their parents), housing files, discipline records and athletic records. It includes Department, College and University files, electronic records, emails, disciplinary files, and any and all other such records held and maintained by the University including all faculty and staff. Students have the right of access, review and challenge of their education records. However, if the student is considered dependent (according to the 1954 Internal Revenue Code), both the student and parents may have access rights. A student's education records may be released to parents only after receipt of reasonable proof of dependency. Pursuant to Section 99.13 of the FERPA Regulations, students have the right of access to all education records except those specifically excluded under the amendments to the Privacy Act. The following materials are some of the records specifically exempted from access by students: (1) Personal notes of teachers and administrators, provided these notes are not available to a third party other than a teacher's substitute; (2) Law Enforcement Records, to include those of the campus police force, provided they are held or maintained for a law enforcement purpose; (3) Medical and Psychiatric Records - not available to anyone except those providing the treatment. However, the records may be reviewed by a physician or other appropriate professional of the student's choice. The student does have the right of access upon request to all other Education records and files which are directly related to the student with proper identification. This includes all admissions records, registration files, financial aid materials (excluding financial information submitted by their parents as mentioned above), housing files, certain discipline records and any athletic records. University employees who have an "educational need to know" and others with the expressed consent of the student also have the right of access to a student's records. In compliance with Section 99.5 of FERPA, the following information is published for all students at Xavier University. Education records include records directly related to a student and maintained by the institution or by a party acting for the institution such as admissions records, registration files, exams, papers, advising notes, financial aid materials (excluding financial information submitted by their parents), housing files, discipline records and any athletic records. Personal notes maintained by and for a sole individual as a memory aid and not made available to any other faculty or staff members are exempted from this requirement under FERPA. It is important to note that, such "sole possession notes" could be subject to discovery through a court subpoena. Notes and information maintained by the faculty or department for use by more than a sole individual ARE considered an education record, and students therefore have a right to review those records. A written request for nondisclosure of the "directory information" must be filed with the Office of the Registrar, and will be honored by the university until the student asks to have it removed, whether or not the student is currently registered. Upon the death of a student, all privacy holds are removed. Other student Education record information, including the student's Banner ID and course schedule, are NOT considered directory information and are protected under FERPA. As of January 3, 2012, the U.S. Department of Education's FERPA regulations were amended to expand the circumstances under which a student's education records and personally identifiable information (PII) contained in such records - including a student's Social Security Number, grades, or other private information - may be accessed without the student's consent. First, the U.S. Comptroller General, the U.S. Attorney General, the U.S. Secretary of Education, or state and local education authorities ("Federal and State Authorities") may allow access to a student's records and PII without the student's consent to any third party designated by a Federal or State Authority to evaluate a federal- or state-supported education program. The evaluation may relate to any program that is "principally engaged in the provision of education," such as early childhood education and job training, as well as any program that is administered by an education agency or institution. Second, Federal and State Authorities may allow access to a student's education records and PII without the student's consent to researchers performing certain types of studies, in certain cases even when the University objects to or does not request such research. Federal and State Authorities must obtain certain use-restriction and data security promises from the entities that they authorize to receive a student's PII, but the Authorities need not maintain direct control over such entities. In addition, in connection with Statewide Longitudinal Data Systems, State Authorities may collect, compile, permanently retain, and share without a student's consent PII from the student's education records, and they may track a student's participation in education and other programs by linking such PII to other personal information about the student that they obtain from other Federal or State data sources, including workforce development, unemployment insurance, child welfare, juvenile justice, military service, and migrant student records systems. You HAVE a legitimate educational interest in an education record if it is something you need to know or access in order to carry out your job responsibilities in support of Xavier's educational mission. You HAVE a legitimate educational interest in an education record if it is something you need to know or access in order to carry out your responsibilities to a committee that you serve on by virtue of your employment in support of Xavier's educational mission. You DO NOT HAVE a legitimate educational interest in an education record if you are accessing it out of curiosity. You DO NOT HAVE a legitimate educational interest in an education record simply because you have the ability to access the record through the Banner system or by any other means. Xavier faculty, staff and students are encouraged to report concerns regarding students who may be struggling with academic, emotional or behavioral difficulties. Concerns reported to appropriate University officials for the purpose of responding to student needs are not a violation of FERPA. 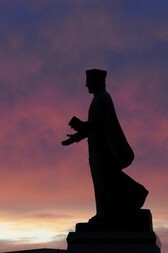 To ensure that the report is received by an appropriate University resource, Xavier community members should utilize the University's online reporting form located at: http://www.xavier.edu/studentconcern. Please note: In emergency situations or for an expressed threat of harm to self or others, please call Xavier University Police at 513-745-1000. With limited exceptions, FERPA gives students the right to "inspect and review" their education records. The University must provide the records no later than forty-five days after the student asks for them. The University may give the student a copy of the record or merely allow the student to look at the requested record. A common exception to the right to "inspect and review" involves access to financial records of parents. If a student's education record has information about any other student, such information about the other student must be removed or redacted before the requesting student can review the record. The procedures for challenging content of any specific education record for reasons of inaccuracy or bias can be either informal or include formal hearings. Each of the offices listed below has review procedures and methods of informally challenging inaccurate data which are particular to the type of records kept and to the specific purpose for which they are maintained. Specific procedures can be determined by contacting the official of the office concerned. Individual academic departments may also have education records and may be contacted directly for review and inquiries about those records. Student requests for a formal hearing must be made in writing to the University Registrar, who will forward the request to the appropriate university official within a reasonable period of time after receiving such requests, and will inform the student of the date, place and time of the hearing. The parents and/or student have the right to present evidence that the challenged material is inaccurate, misleading, or in any way inappropriate for the particular file. Correction of the material or deletion of the material should be requested. Decisions rendered at the hearing will be final, and will be based solely on the evidence presented at the hearing. The university official conducting the hearing will summarize the evidence, state the decision, and state the reasons for the decision. This written report will be delivered to all parties concerned and a copy will be maintained with the challenged records. Students have a right to request and receive copies of all accessible materials with certain exceptions, e.g. a copy of the official academic record for which a financial "hold" exists. The cost of reproduction shall be borne by the requesting party, and shall not exceed the cost to the university. The current charge for photocopying must be paid per page, per copy. The current charge for transcripts must be paid for a complete copy of the academic record. Detailed education records, as defined above, are kept for variable amounts of time depending on the type and purpose of the record. Below is a list of some of the standard university education records and their retention schedule. The Registrar's Office maintains all undergraduate and graduate transcripts permanently. The Registrar's Office keeps general academic files of students who withdraw from Xavier before graduation for five years and permanently maintains transcripts of all academic records earned at Xavier. Alumni Relations maintains directory information on all graduates. Financial Aid maintains complete files until a federal audit has been made. The graduate schools maintain student application files until graduation. Residence Life maintains records for five years from the time of residency. 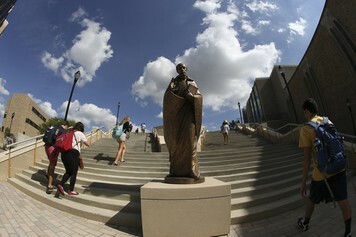 The Dean of Student's Office maintains records for seven years unless the student has been suspended or expelled from Xavier in which case student conduct records may be kept indefinitely. The Bursar's Office retains quarterly financial summaries of student fee payments and individual student files concerning Perkins Loans necessary to meet statutory requirements. The Student Teaching Office permanently retains information files related to professional study: evaluation, notation, etc. Wellness Services maintains required immunization records and retains all other medical records for five years after a student terminates enrollment. Xavier University Police records governed by the Federal Clery Act are maintained for seven years in accord with the law.